Stained in a nice light brown, this attractive, felt lined Twinings wooden tea box was made for Twinings Tea Company. 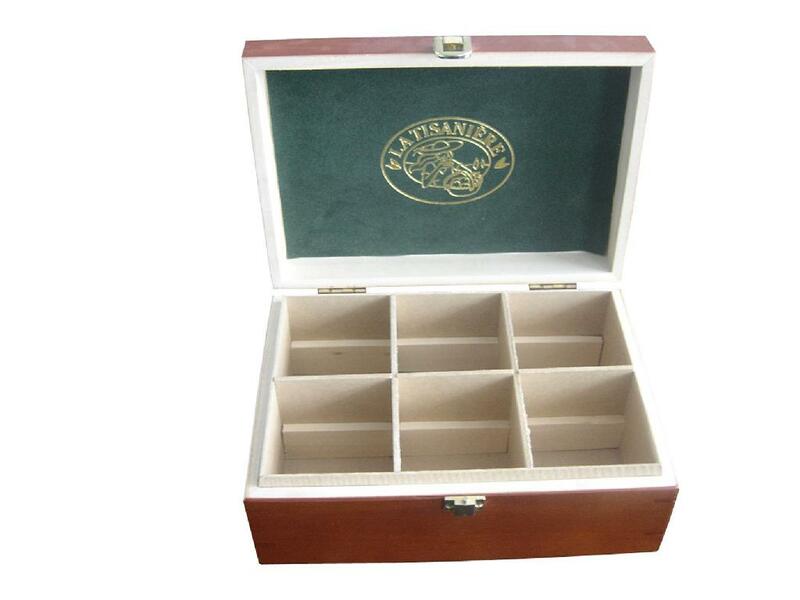 It features six removable compartments to hold a variety of tea bags. This Twinings box has 90 degree butterfly hinges and a quality lock.